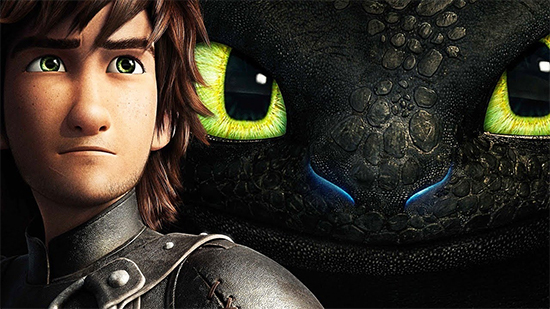 DreamWorks’ popular animated CG movie “How to Train Your Dragon” will be receiving a sequel on June 13th, and DreamWorks has unveiled the first look at the movie in a short 5 minute clip! The scene shows off one of the “dragon racing” sequences from the movie, highlighting the animation and character designs used in the upcoming film. A mixture of action and comedy, this sequel will be sure to please fans of the original and newcomers alike! “How to Train Your Dragon” is a series of children’s books written by British author Cressida Cowell, and highlight the interactions between a tribe of Viking-like humans and their dragon pets. Originally released in 2003, the book series has continued to this day, with the most recent release being puslished in 2013. The series has grown in popularity over the years and spawned its own franchise, including the 2010 animated movie, TV shows, short stories, and more.